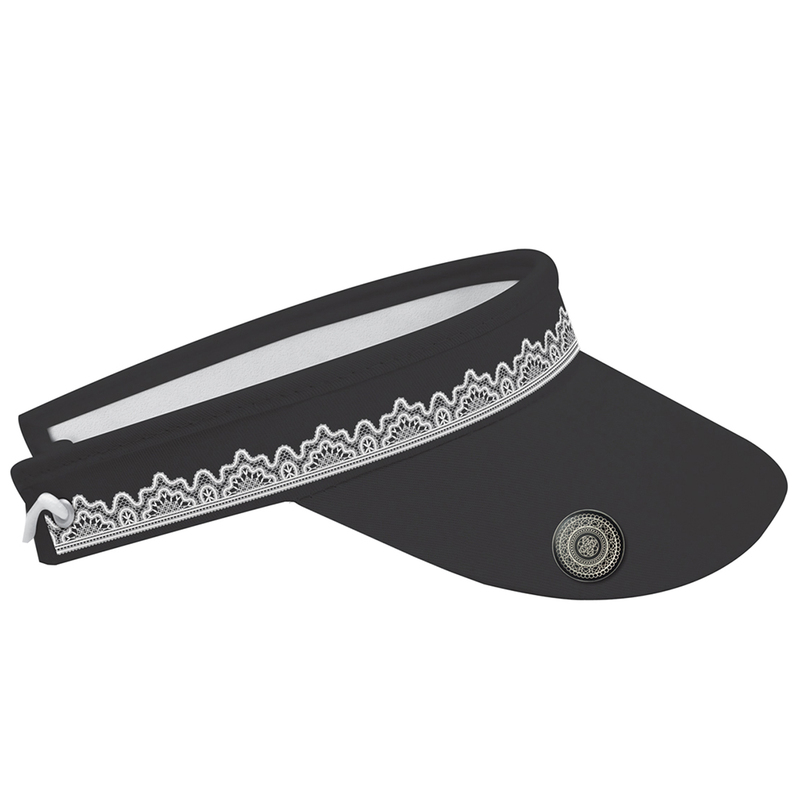 This elegant visor has been designed with lace embroidery to enhance this beautiful visor. The visor comes with a matching ball marker which sits in place on the peak, thanks to a magnetic holder. 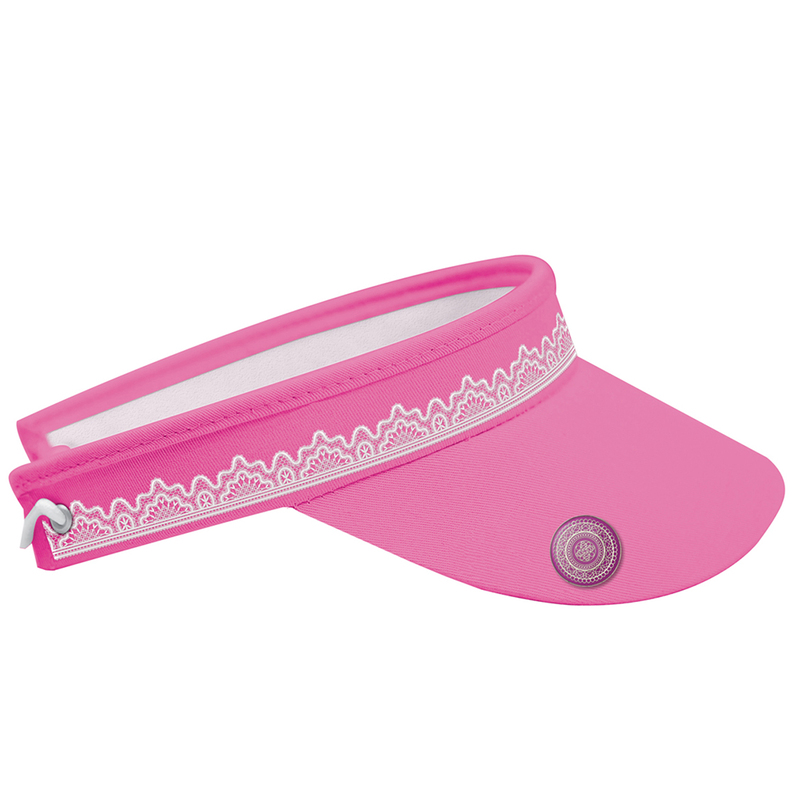 The visor has an elasticated telephone style cable at the rear to provide a secure fitting, and has a pre-curved bill.